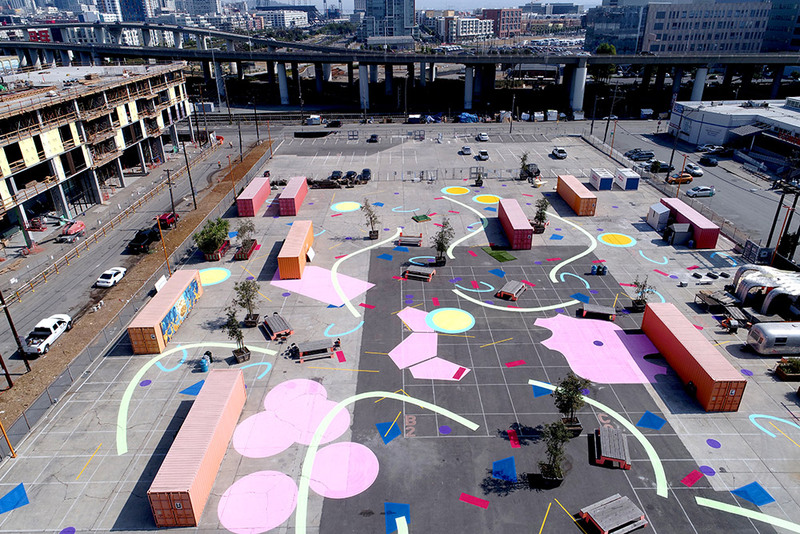 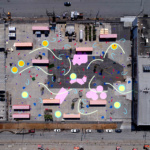 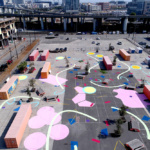 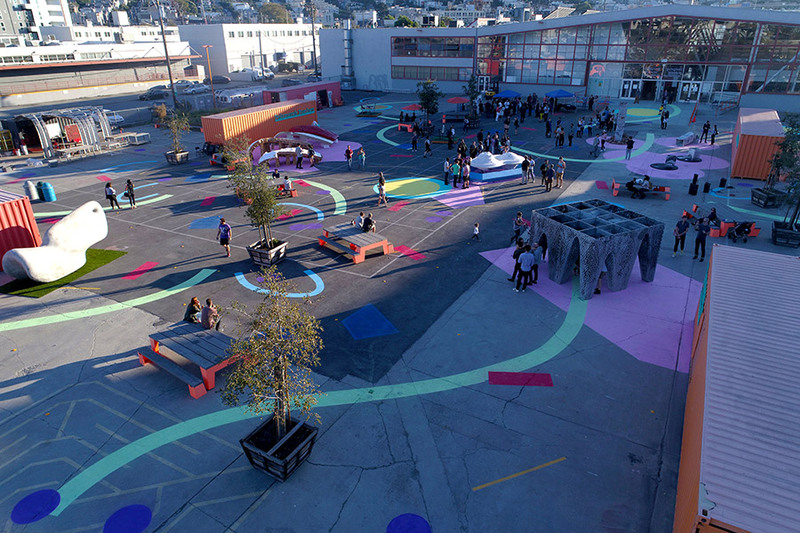 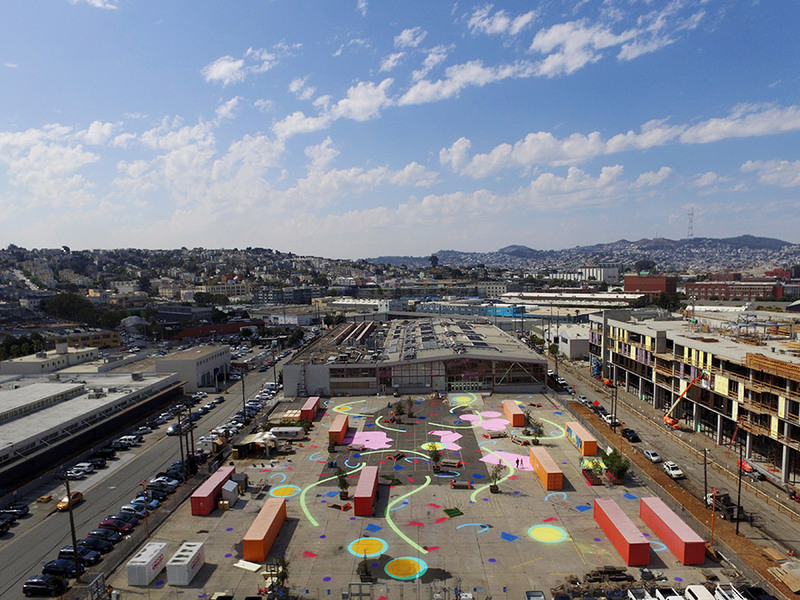 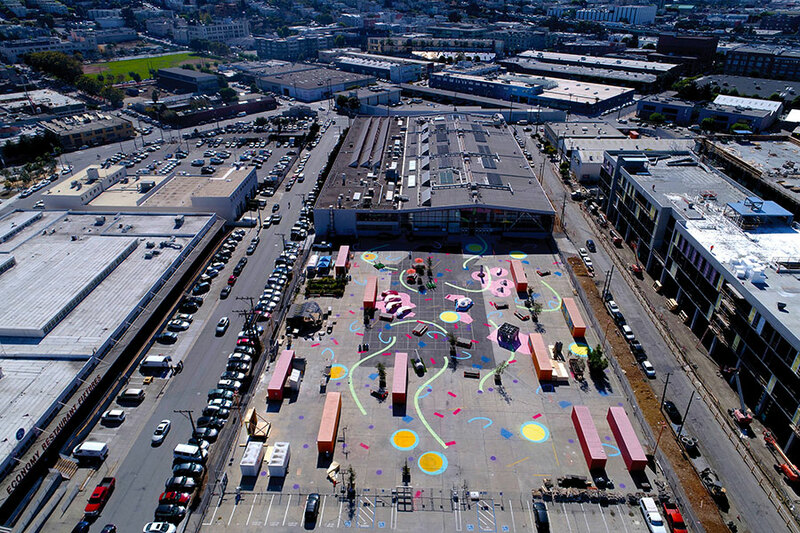 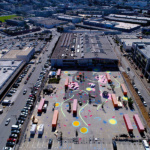 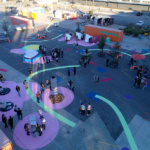 Confetti Urbanism reimagines the California College of the Arts Back Lot as a display venue, work yard, and social space. 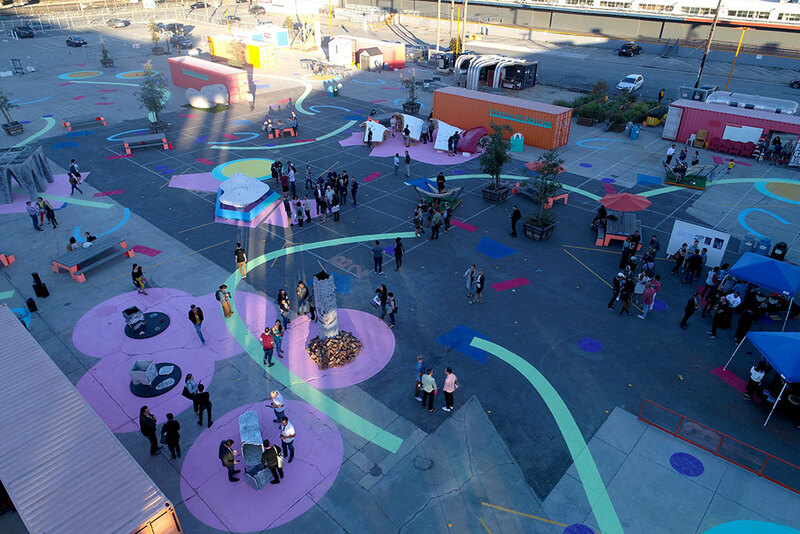 The 73,470-square-foot Back Lot presents prototypes of the Designing Material Innovation exhibition while supporting student design activities and equipment—from a welding station to hammocks. 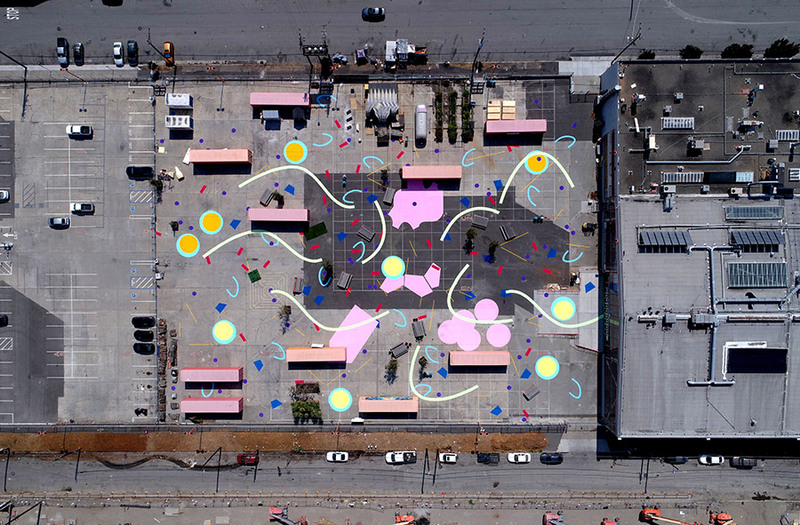 Confetti Urbanism celebrates the diversity of the Back Lot’s many components by organizing them as though they were tossed confetti, creating a loose yet carefully studied frame for the prototypes on display and animating the site through function and festivity. 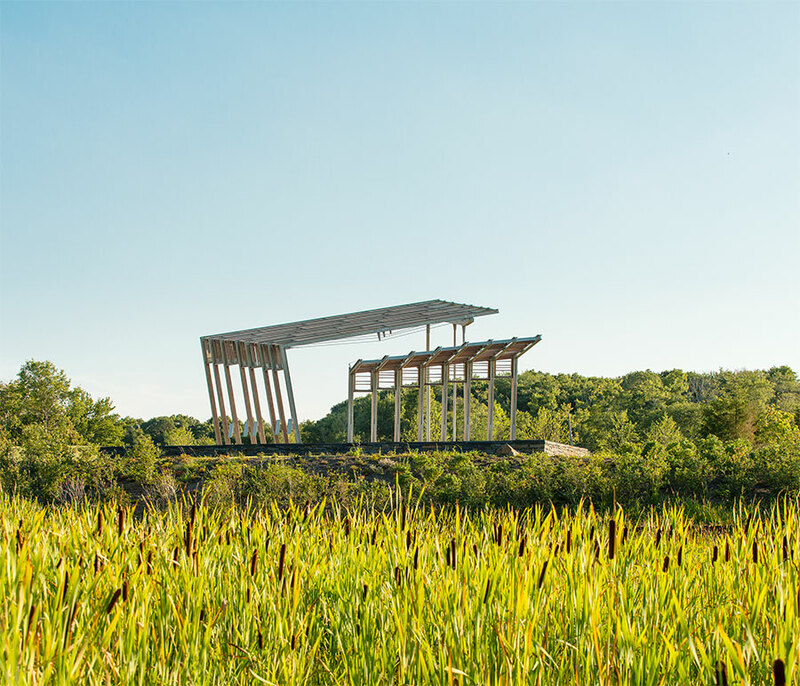 Farnham-Connolly State Park Pavilion began as an environmental cleanup of an abandoned municipal airport. 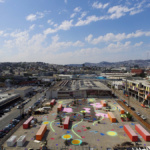 Surrounding wetlands were remediated, and PCB-impacted soils were collected under a permeable geo-textile cap for the location of a new park and comfort-station pavilions. Both pavilions meet the social and physical needs of visitors, while paying homage to the area’s history of flight. Meriden Green began as a flood-control project 20 years ago and became the catalyst for economic revitalization by transforming a brownfield into a greenfield. 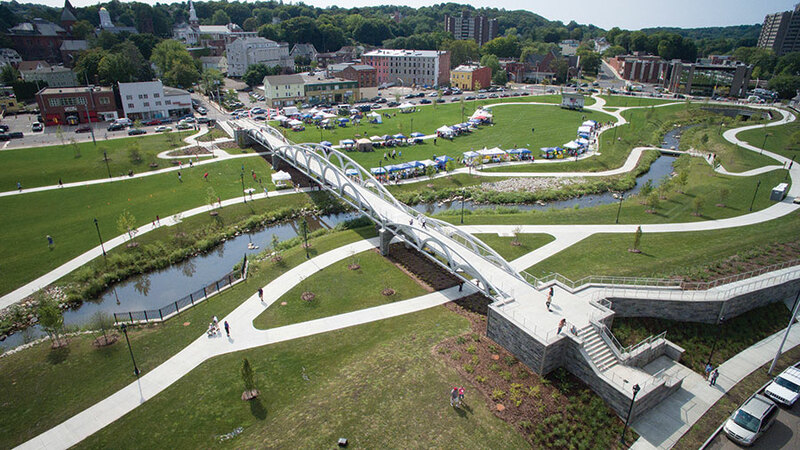 The firm executed a Connecticut city’s vision of large expanses of lawn for events and play; pedestrian routes; a bridge linking neighborhoods; and new development opportunities. 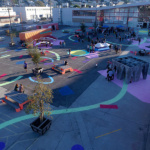 Aptum Architecture Best Of Design Awards Best of Design Awards 2017 CCA Digital Craft Lab Endemic Architecture Matter Design San Francisco T+E+A+M Touloukian Touloukian Inc.